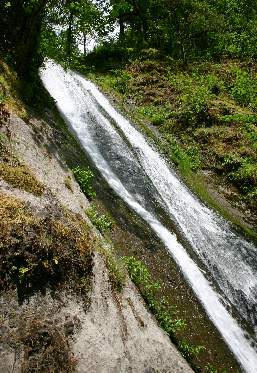 Wahclella & East Fork Falls are east of Portland. Take Bonneville Dam exit #40 on I-84. 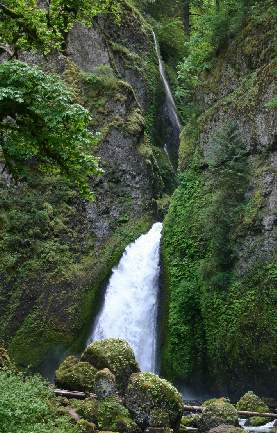 Head south on road and turn right into parking area for Wahclella Falls. Falls are located a mile up a trail. Near the falls is a fork in the path - take the right fork. East Fork Falls appears just above and to the left of Wahclella. Munra Falls is seen at the first bridge on the way to Wahclella.